If you are seeking a peaceful life, away from the hustle and bustle of modern living, then look no further than Molise. 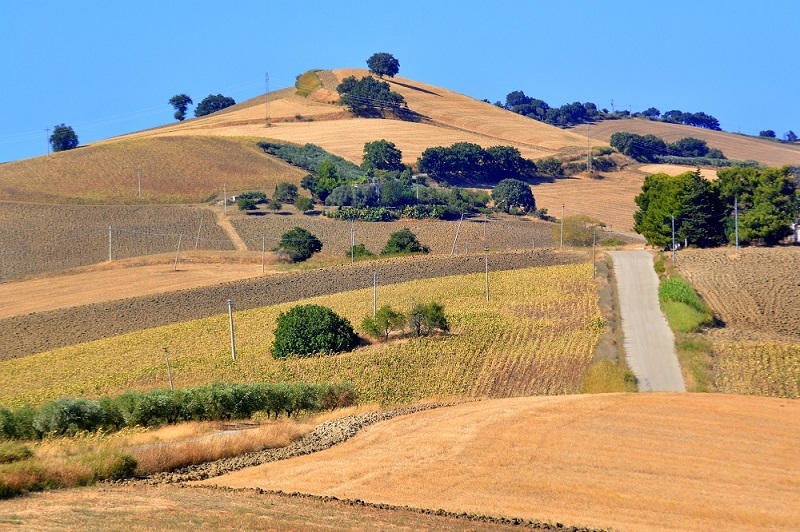 This largely, undiscovered region, nestles between the regions of Abruzzo and Puglia. Its coastline meets the crystal blue seas of the Adriatic, whilst inland, the hilly countryside eventually rises to embrace the peaks of the Apennines. 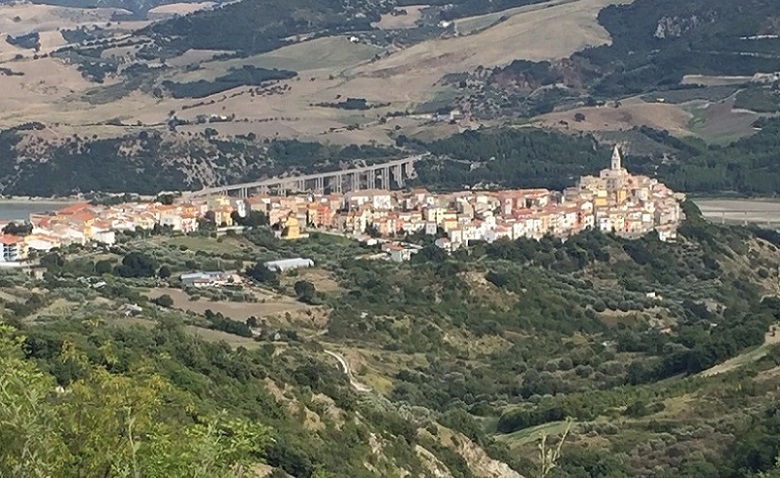 Molise's small size and sparse population means that it is known as Italy's last frontier. Although a relative secret to overseas visitors, Molise still deserves attention. It boasts fascinating traditions, stunning landscapes and wonderful rustic gastronomy. Combined with low tourism and the least expensive property prices in Italy, it is the perfect escape for those looking for a new residential or holiday home, away from the crowds. The area also presents, many opportunities, for either restoration or new build projects. The following introduction will only provide a taster for all that Molise offers. We recommend that you visit the region, yourself, to experience its treasures, first-hand! Molise has no international airport, so if flying, it is necessary to travel to either Pescara, Naples or Bari and then by road to Molise. Pescara, Abruzzo - There are regular flights to and from London Stansted Airport with Ryanair. Other European countries, served by the airport include Albania, Belgium, Germany and Romania. There are also seasonal flights to other European destinations. It is possible to hire a vehicle from all major car hire companies in the main terminal hall. The travel time from the airport to Termoli in Molise is about 1 hour 20 minutes (109 kms) depending on traffic. 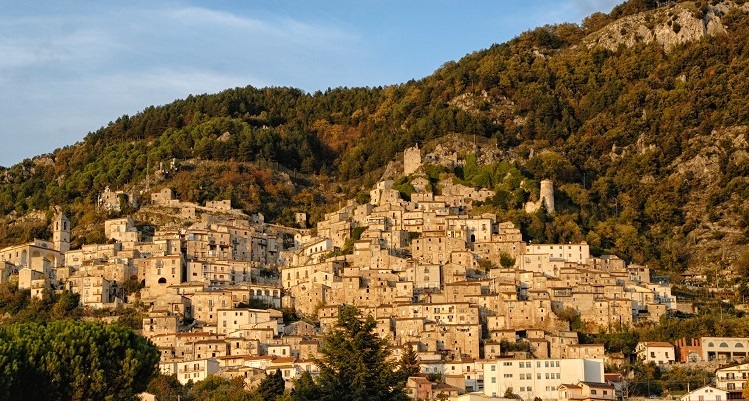 The travel time from Naples Airport to the town of Isernia is 1 hour 20 minutes (101 kms). Add a further 35 minutes for Campobasso. A good variety of vehicles and equipment, such as baby seats, is available from all the major car hire companies based at the airport. There is a free-of-charge shuttle service, that operates to the rental car parking area. It is about 700 metres away. The service, which departs from the exit of the Arrivals Concourse adjacent to P5 Car Park, runs every five minutes. Bari, Puglia - There is a daily flight with Ryanair from London Stansted and a twice weekly flight from Gatwick with Easyjet. There are regular flights to/from other European countries including Albania, Belgium, Bulgaria, Czech Republic, France, Germany, Hungary, Ireland, Romania, Spain and Turkey. Travelling by car. from Bari Airport to the coastal town of Termoli, is 1 hour 57 min (203 km). There are several rent-a-car companies that have their booking desks in the arrivals area of the passenger terminal. There are regular, direct, train services from both Bari Centrale and Pescara Centrale stations to the town of Termoli. Train services to both Isernia and Campobasso are available from Naples Centrale station and Rome Termini. There are train services from Termoli inland to Campobasso. The mountainous nature of the Region precludes a prolific train network. The A14 or Autostrada Adriatica connects Abruzzo and Puglia. It passes through Termoli and runs along the molisan coast. There are two highways which flow from the Adriatic coast inland to either Isernia (SS650) or the regional capital Campobasso (SS647). The third major highway (SS17) travels close to the western border from Abruzzo to Campania in the south. It should be noted that in Molise, public transportation is underdeveloped. It is sensible that visitors, renting a car, have a paper map, rather than relying on GPS. Buses link the larger towns in Molise. They also operate locally from village to village, but coincide with school and work schedules so are generally inconvenient for travellers. Molise experiences a Mediterranean climate on the coast and a continental climate inland. Much of the higher, inland territory has cool winters with frequent snowfalls. In summer it enjoys a hot and dry climate. The coastal strip has milder weather through the winter months whilst summers are very hot but are often tempered by seaside breezes. Rain is more frequent in Autumn, especially November. Lying next to the Adriatic Sea, Molise has approximately 35 kilometres of coastline surrounded by dunes and Mediterranean vegetation. 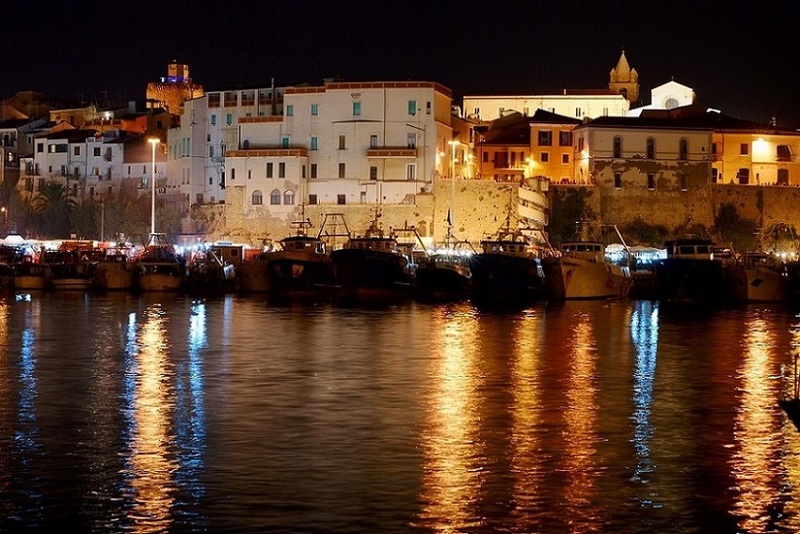 The shore is low and sandy except for the promontory of Termoli with its ancient fishing village and port. 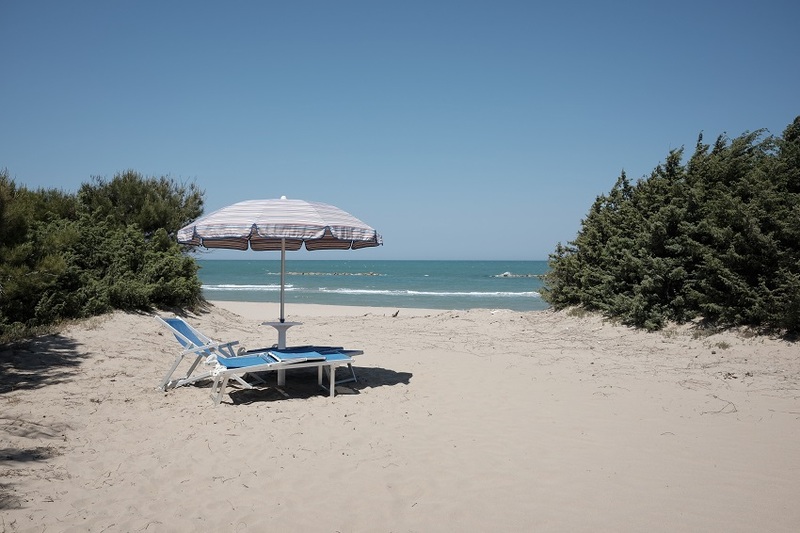 The most important of the beaches include those at Marina di Montenero, Petacciato, Termoli, and Campomarino. These resorts have fine sand, clear waters and are considered safe for children. Great for relaxation. Many have even been awarded with 'blue flag' status. For lovers of watersports there is diving, canoeing, sailing and windsurfing. Molise resorts are less crowded than in other parts of Italy, but they are still equipped with every modern comfort including shops, restaurants, lidos and bars. 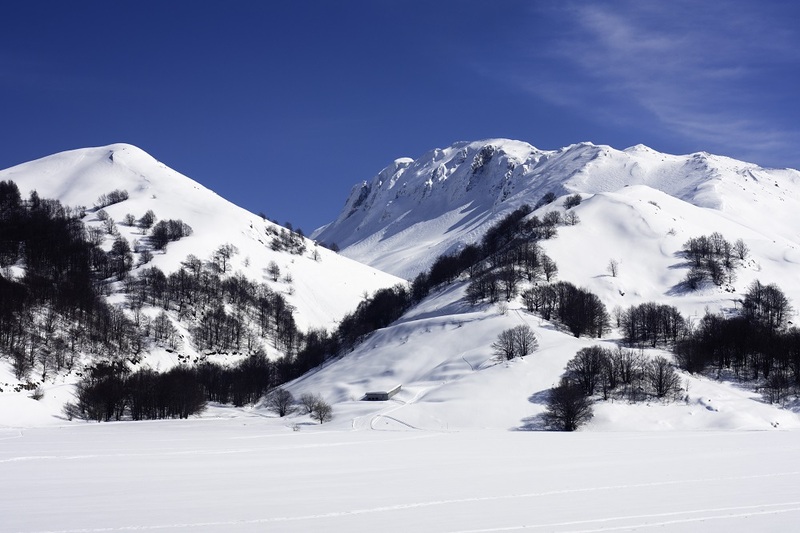 Over 55% of Molise is covered with rugged mountains and in winter they receive good amounts of snow. 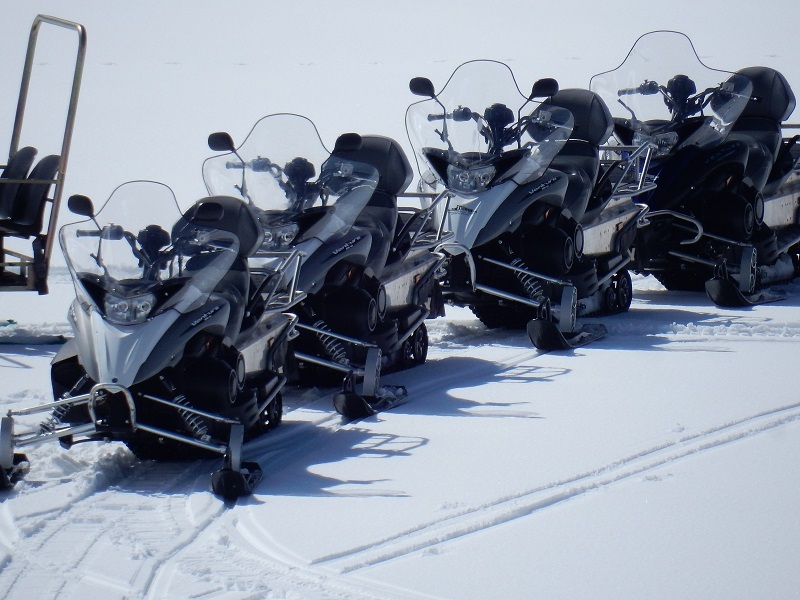 There are two ski resorts which serve the area. 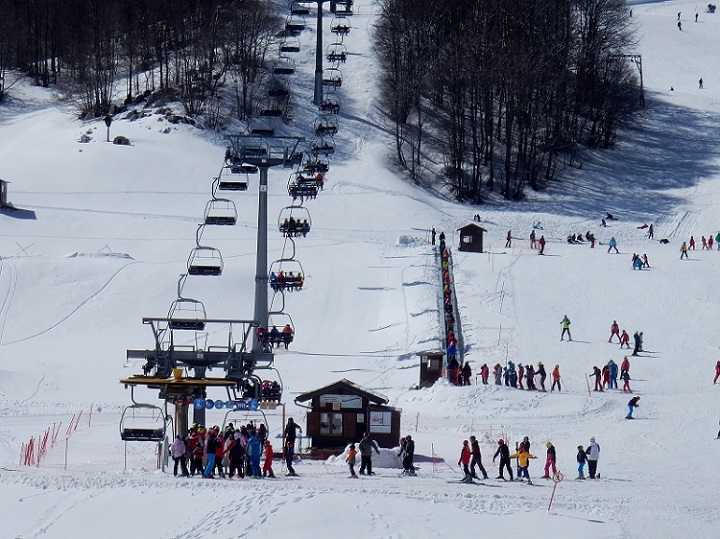 Campitello Matese is the largest with 19.9 kms of slopes and 5 lifts. Both skiing and snowboarding are popular. Most of the pistes are of intermediate standard although there are both black and blue runs. 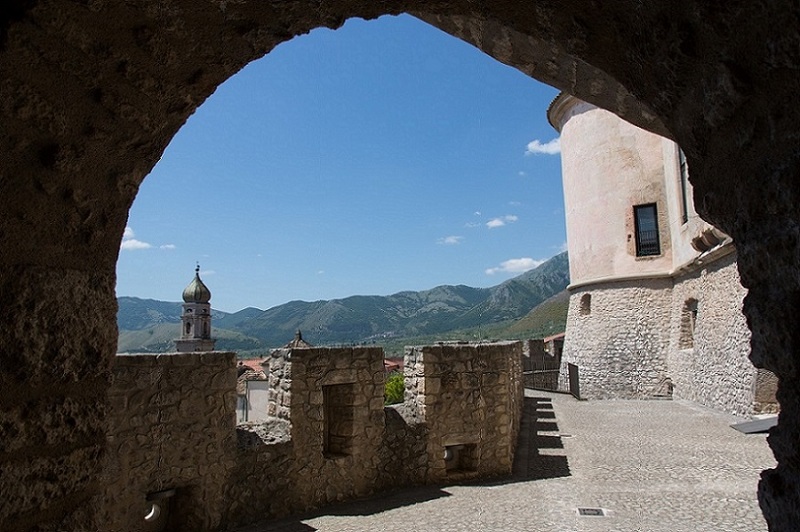 Capracotta, which is close to the border with Abruzzo in the province of Isernia, is smaller and ideal for beginners. There are 2 lifts. 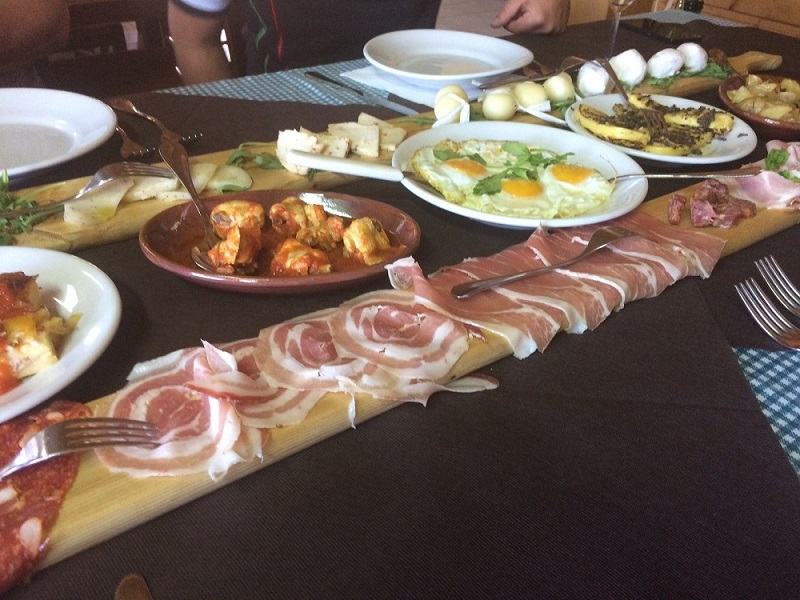 The food of Molise shares culinary traditions with surrounding Regions including Abruzzo, Puglia and Campania. Using rustic, fresh, ingredients from both its mountainous interior and proximity to the Adriatic Sea, it is possible to create simple but tasty recipes to satisfy the most discerning palate. 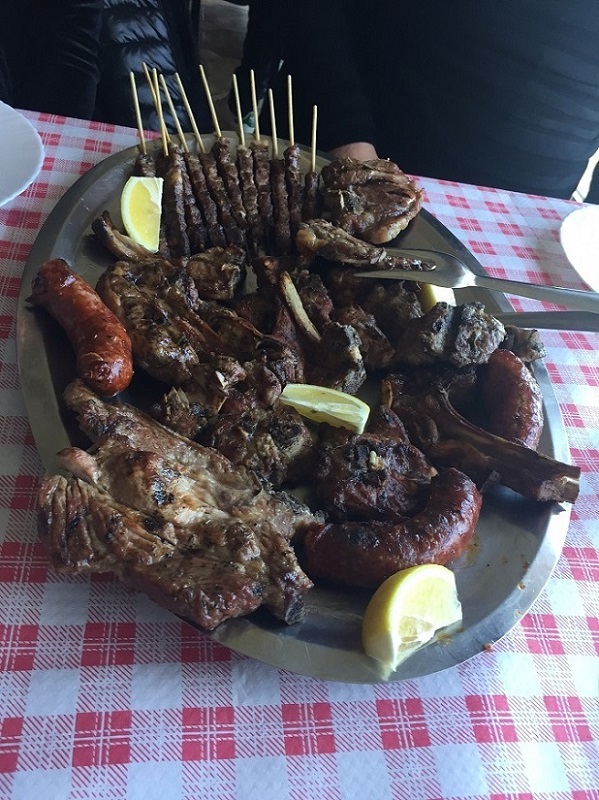 In the hinterland, dishes made from mutton, lamb, kid and pork are prevalent whilst in coastal towns sea bream, anchovies, swordfish, mussels and clams are key ingredients. These combined with delicious cheeses, salamis, extra-virgin olive oil, grains, pulses, truffles and vegetables are of major importance. Zuppa di ortiche - young nettle sprouts, gently cooked with bacon and tomatoes to produce a soup. Calcioni di ricotta rustici - Circular pasta shells folded over a paste of ricotta, provolone, prosciutto and eggs, then deep-fried in oil. Often served as part of a platter of fried appetizers or fritto misto. Ventricina - pork sausage, flavoured with fennel seeds and chilli. Pezatta - stewed mutton with tomatoes and onions flavoured with rosemary and hot peppers. Polenta maritata - a speciality of Isernia, the recipe includes slices of polenta fried in oil with garlic, layered with a filling of red beans and peperoncini and baked in the oven. Abbuoti or Tortcinelli involtini - chopped lamb's liver and sweetbreads mixed with hard boiled eggs and stuffed into a lamb's intestine and baked. Lepre a ciffe e ciaffe - hare cooked in a marinade of vinegar and wine with plenty of herbs. Baccala alla cantalupese - salt cured cod with olives, grapes and peppers seasoned with capers and garlic. Brodetto alla Termolese - mixed fish stew including mussels and clams with tomatoes, green or red pepper and herbs. Mostarda d'uva - jam made with grapes. Picatelli - pastries filled with honey, nuts and grapes. Panettoncino - spongy chocolate cake made with polenta. Cippillati - baked ravioli filled with sour black cherries. Products of note include the Isernia black truffle, durum wheat pasta and a selection of delicious salamis. The cheeses of Molise include Pecorino, Caciocavallo and Scamorza. Wine grapes have been grown in the area since pre-Roman times. Until recently, however, nearly all the wine produced in Molise has been for local consumption. Finally, Molisian wines have gained international recognition and, as wineries and production techniques modernize, there is much potential for further development. Biferno - available in red, rose and white. They are considered dry and the reds are often aged. The whites are made from Trebbiano grapes with a small proportion of Bombino. The reds from Montepulciano and Aglianico grapes. Pentro di Isernia - available in red, rose and white. They are generally dry in taste. The whites are a blend of Trebbiano and Bombino grapes whilst the reds and roses are produced from Montepulciano and Sangiovese grapes. Molise - encompasses the whole region and includes white, red, rose and even sparkling wines. Apart from a handful of towns, most of Molise's settlements are built on the very top of mountains creating a unique and atmospheric landscape. Some of the isolated villages are built around rocky pinnacles and can appear that they are miraculously hanging in mid-air. It is relatively rare to spot single residences, as houses are normally grouped in small clusters or hamlets. The villages are worth exploring as there are often castle ruins and ancient churches to discover and the scenery over surrounding valleys and countryside is stunning. Four of the villages have been awarded the prestigious title of 'I Borghi piu belli d'Italia'. These include Forneli, Frosolone, Oratino and Sepino, all worth a visit. The unspoilt, natural territory of Molise is the perfect environment to either relax or take part in activities. Nature lovers can go walking or trekking through woods with the hope of discovering native flora or fauna. The beautiful scenery includes streams, gorges, waterfalls and can even take in dramatic Apennine landscapes. Many hilly areas can be reached by mountain bike and there are also scenic cycle routes beside the coast. Along the ancient migratory trails, you can enjoy horseback riding, knowing that you are tracing the paths of human ancestors. There is the thrill of winter sports on the slopes of Campitelle Matese, the largest ski resort in Molise, as well as Capracotta, also renowned for its cross-country ski trails. The Adriatic coastal resorts are ideal for swimmers, divers, sailors and a variety of other water sports. The National Park of Abruzzo, Lazio and Molise reveals unexpected and magnificent landscapes. Many of Europe's rarer species of flora and fauna still find a home in this heavily forested region. The main wildlife attractions of the park are the Marsican bear and Italian wolf whilst red deer, roe deer and wild boar live in the thicker areas of the forest. Other animals include the European polecat, badger, Eurasian otter, pine marten and beech marten. Higher, above the forest, chamois live alone or in small groups. The flora of the park is rich and interesting with over 2,000 species. Notable flowers include the Marsian iris, gentian, primrose, cyclamen, lily and violet. The most well-known flower is the rare lady's slipper, a yellow and black orchid. In the forests, beech trees are common, whilst other trees include black pine, mountain pine and silver birch. The region's diverse and fascinating territory has led to the creation of a great number of natural reserves and wildlife sanctuaries, protected for their environmental value and rich fauna and flora. For lovers of nature they are worth exploring. When it comes to times past, Molise provides an amazing journey of discovery. The town of Campobasso is steeped in history and culture. It is dominated by the imposing Castello Monforte which was built in 16th century on the site of an original Norman castle. There is also the fascinating Provincial Samnite Museum, where it is possible to view valuable exhibits from civilizations that lived in the territory up until the Samnite period. The Samnites are renowned for rebelling against the Romans. The town of Isernia was inhabited at least 700,000 years ago and there is a prehistoric site, La Pineta, closeby. Isernia has notable landmarks including the 13th century Fraterna Fountain, Roman bridge, Isernia cathedral, built on a pagan temple of 3rd Century B.C. and the civic museum. It is also worth paying a visit to Agnone, known as the town of bells. Produced by artisans, these beautiful instruments, can be heard peeling in the most famous churches and cathedrals worldwide. Likewise, the town of Scapoli is celebrated for its handmade bagpipes, with a museum devoted entirely to this ancient musical instrument. There is also an annual Fiesta when thousands of bagpipe aficionados from all over the world flock to town. Molise's archaeological sites carry great significance. Only a few can be mentioned here but they include the Samnite town of Pietrabbondante with its beautiful theatre, Sepino with the ruins of Roman buildings, and Larino, which combines valuable Roman remains with a magnificent example of Medieval art - the Roman and Gothic style Cathedral. 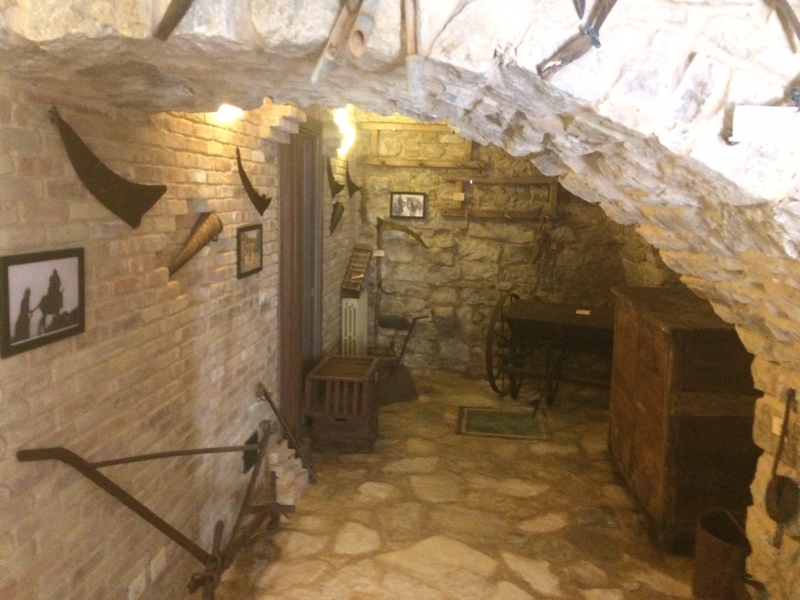 Some other major towns are Termoli, a tourist resort and port, with the stately Swabian Castle and the Romanesque Cathedral, and Venafro, with its Pandone Castle, the Romanesque and Gothic Cathedral, and Roman and pre-Roman archaeological discoveries. The region also boasts countless castles, such as that of Pescolanciano, as well as a number of abbeys and sanctuaries, including the Benedectine Abbey at San Vincenzo al Volturno, the Sanctuary of the Addolorata, Castelpetroso and the Sanctuary of Canneto in Roccavivara. Finally, some splendid examples of Romanesque architecture include the Church of St. George in Petrella. Worth visiting are the tratturi. These grassy trails were used by shepherds and their animals, twice yearly, during the periods of transhumance. This movement of sheep from the mountains of Abruzzo, through Molise, to the plains of Puglia, and return, took place at the end of summer and the beginning of spring. Today they serve as an amazing testimony to peasant and shepherd life. As with the rest of Italy, Molise celebrates and enjoys many traditional festivals related to both agriculture and religious events.